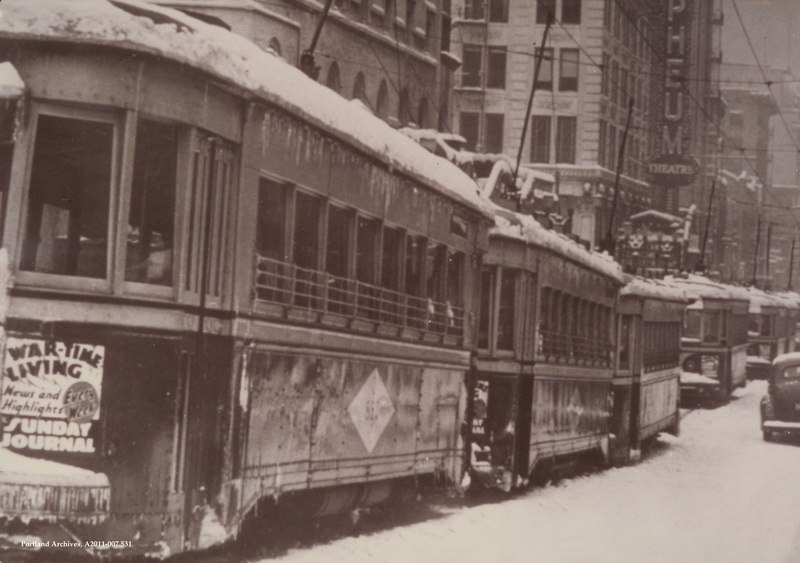 The streetcars stuck in snow just outside the Orpheum Theater on SW Broadway, 1943. 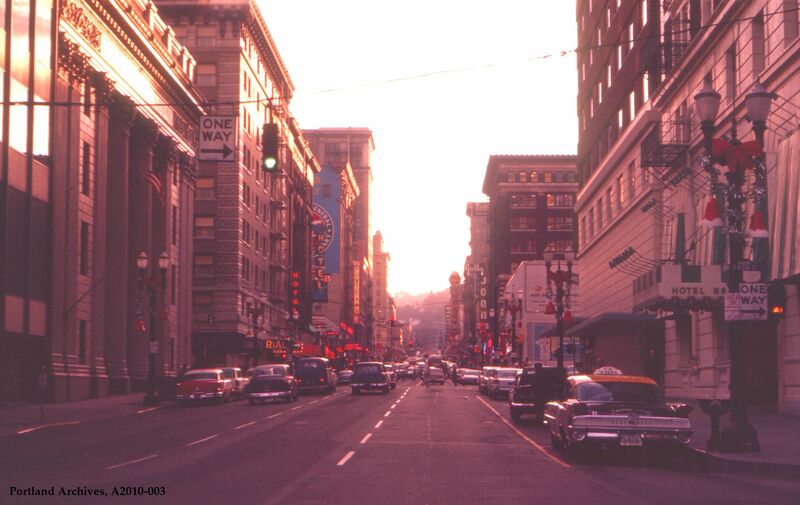 SW Broadway near SW Oak Street, looking southwest, 1960. 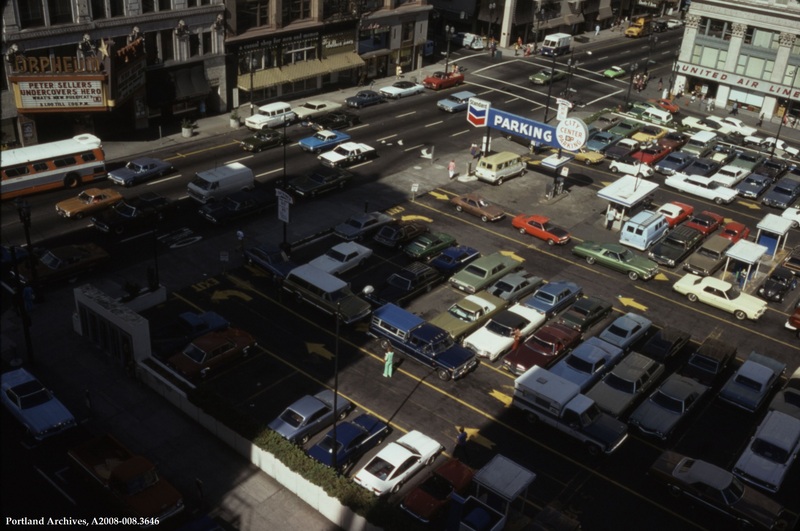 Here we have a great color image of the Meier and Frank parking lot located at the current Pioneer Square location. This image was captured only a few years before construction would begin. 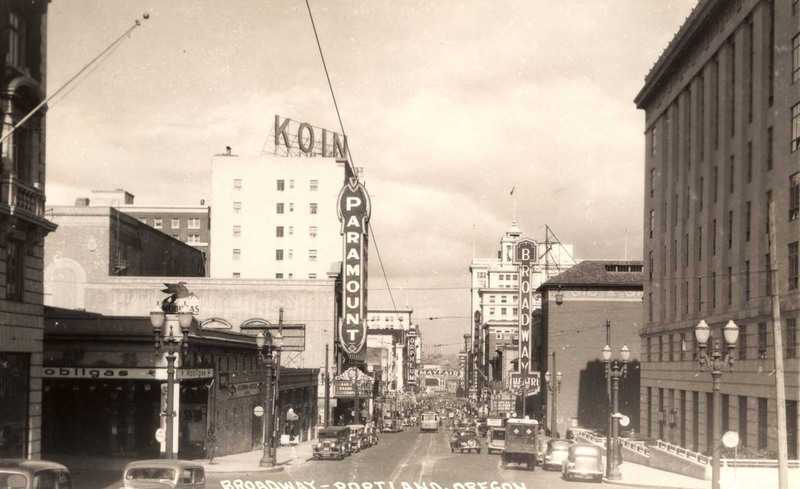 On the left upper corner you can see the Orpheum Theater, which was located at the corner or SW Broadway and Yamhill. The theater opened on the corner of SW Broadway and Yamhill as the Empress Theater in 1913, was later renamed the Hippodrome Theater and remodeled to this configuration as the Pantages Theater in 1926. 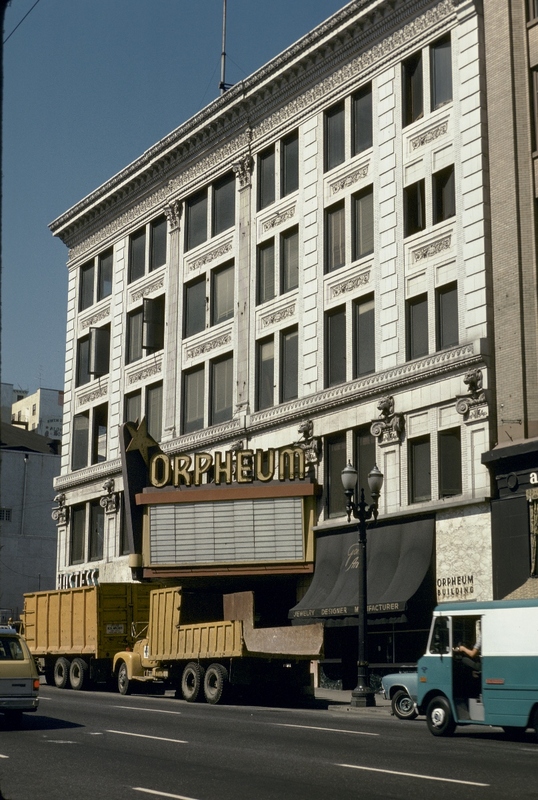 It was finally renamed Orpheum Theater in 1929. Here you see trucks set to haul away demolition debris in 1976 as the block is leveled to make way for the Nordstom building. 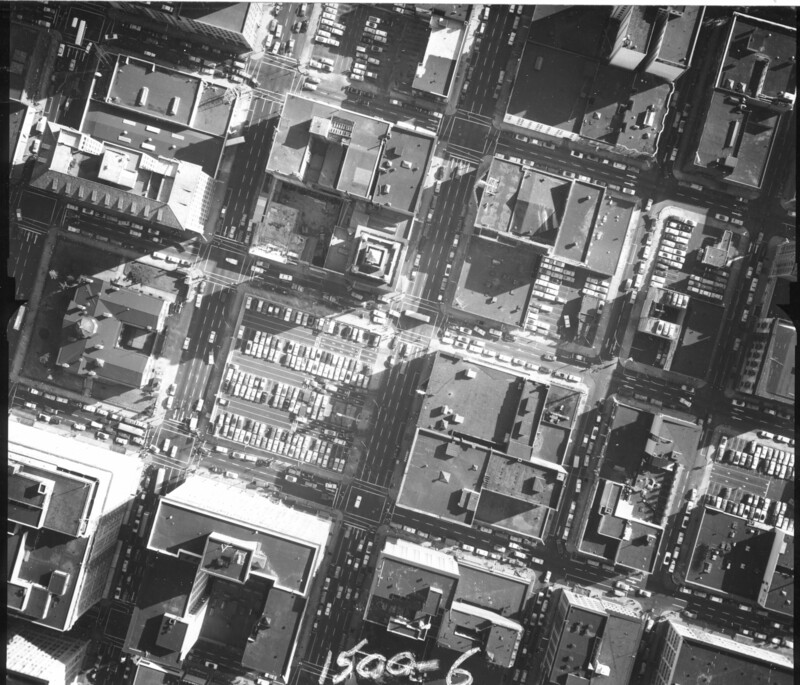 Interesting perspective in this photo looking straight down on SW Broadway as it cuts through the heart of downtown in 1960 (south is up). 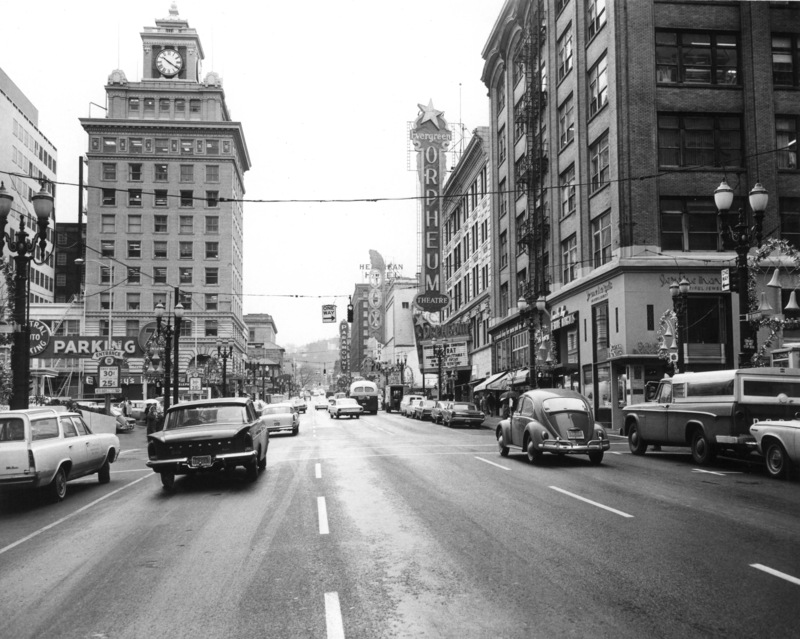 The parking lot just left of center will become Pioneer Courthouse Square a quarter-century later. Very few blocks have escaped change in the last 50 years.